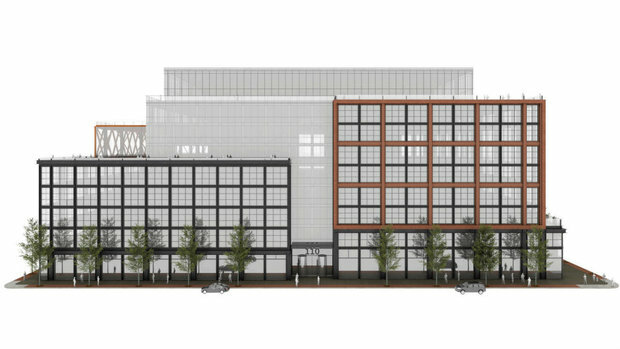 Developer Sterling Bay plans to build a new nine-story building, the future home of McDonald's corporate headquarters, on the former Harpo Studios campus in the West Loop. 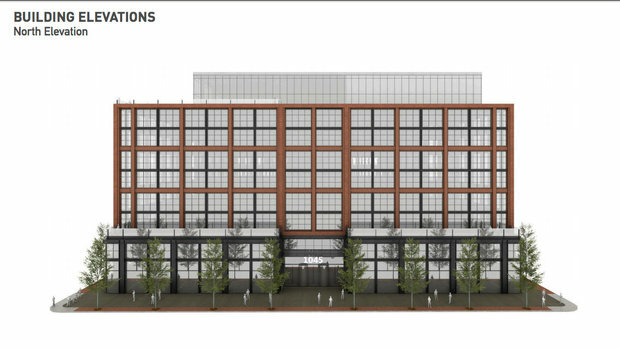 WEST LOOP — A West Loop developer revealed plans for the building that thousands of McDonald's corporate employees will call home come 2018. 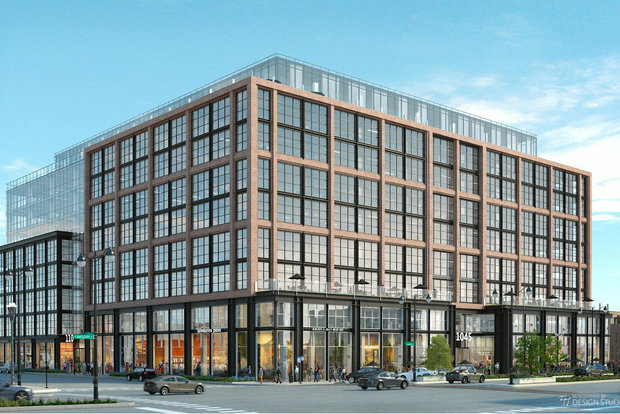 West Loop-based developer Sterling Bay pitched plans for a new nine-story, 600,000-square-foot building to be built at the block-long Harpo Studios campus in the West Loop at a meeting Wednesday. Andy Gloor, managing principal of Sterling Bay, said McDonald's plans to rent 80 percent of the available office space in the new $250 million building. The company has signed a 15-year lease, he said. "At this point, they are the only tenant in the building," Gloor said. McDonald's officials will move about 2,000 employees into the new Chicago headquarters, Ald. Walter Burnett Jr. (27th) told DNAinfo Chicago. 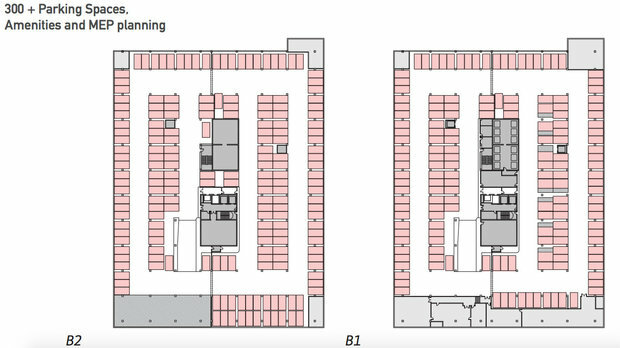 The property will include 300 parking spaces in two below-grade decks and retail space on the building's first floor. 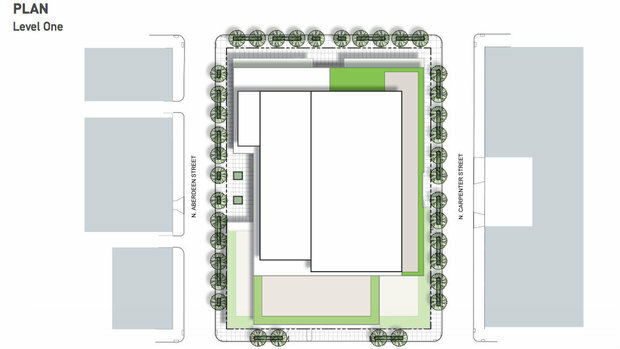 The proposed building would be 124 feet tall on Randolph and 85 feet tall on Washington. Loading docks would be located on Washington, Gloor said. If all goes well, demolition on the property will begin in July and the new building could open in summer 2018. Under plans, the main entrance to McDonald's corporate offices would be located on Carpenter Street and the LEED Silver-certified building will include a rooftop space for employees. The company plans to operate a corporate shuttle that will transport employees to and from Union Station and Ogilvie Transportation Center, with drop off/pick up at Washington and Carpenter, Gloor said. Sterling Bay officials do not yet know if the company plans to open a McDonald's restaurant in the development. Retail spaces in the building have not yet been rented, Gloor said. Sterling Bay is seeking a zoning change. The developer has yet to meet with the city's division of Planning and Development, Burnett said. Demolition permits are pending, Gloor said. McDonald's officially confirmed earlier this month that the company would move its headquarters from suburban Oakbrook to the former Harpo Studios campus in the West Loop. Burnett said several affiliated companies, including McDonald's suppliers, are expected to follow the corporate giant into the city. 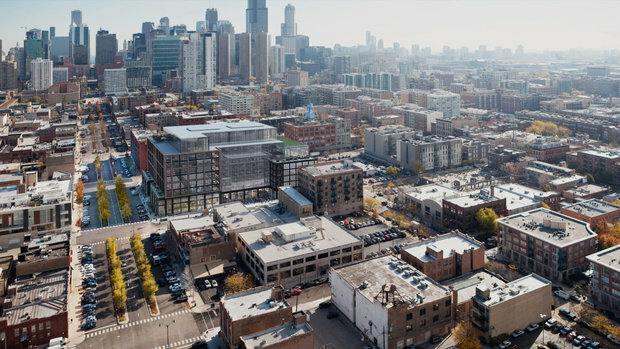 The West Loop neighborhood "is starting to become a driver of economic development and population [that] has a very strong effect on the entire city of Chicago," Burnett said. Bringing McDonald's workforce to the West Loop means more support for the restaurants, hotels and other amenities in the neighborhood, the Alderman said. "It think it fills a void that we lost when Harpo moved," he said. McDonald's was poised to take over 350,000-square-feet at One Prudential Plaza downtown last year before backing out of the deal, according to Crain's Chicago, and also has office space in River North. 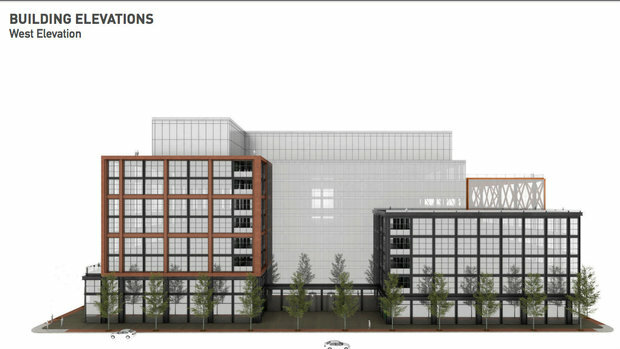 As the Harpo campus is torn down, Sterling Bay plans to honor Oprah Winfrey's legacy in some way in the new development. Gloor said his mother and brother both have worked for Harpo Studios. "We are definitely going to do something to remember who was there," the developer said. 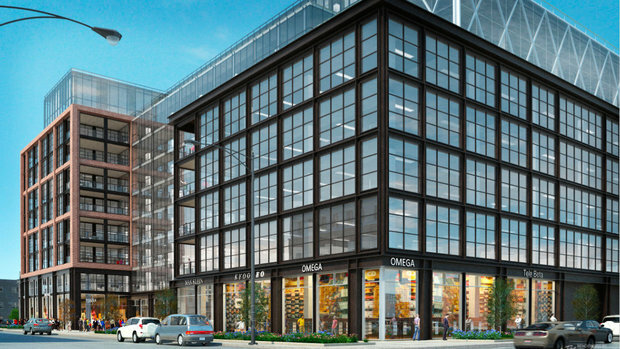 Burnett has previously said the studio helped put the once-gritty West Loop "on the map." Harpo Studios announced in March 2015 that Winfrey would not renew the lease on the lot, meaning the longtime home of "The Oprah Winfrey Show" and many other TV shows would leave the site. Oprah's — and Harpo's — move from Chicago began when Winfrey filmed her last episodes of "The Oprah Winfrey Show" in 2011. The set subsequently housed "The Rosie Show," hosted by Rosie O'Donnell, for less than a year. Harpo's move from Chicago to a new state-of-the-art studio in West Hollywood comes after the OWN Network relocated to The Lot in California. 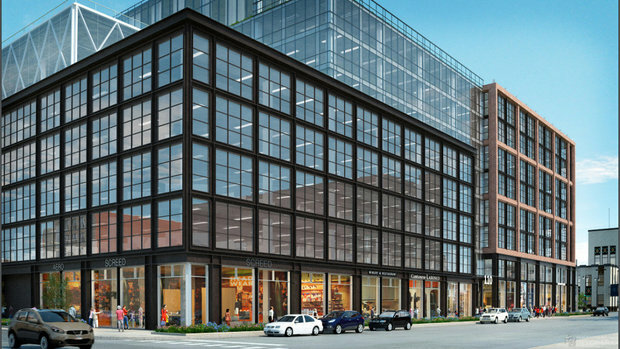 In March 2014, Winfrey announced she had sold Harpo Studios to West Loop-based developer Sterling Bay for $32 million. Iconic signs that hung from the Harpo Studios building were removed in January. The studio closed for good in December 2015. Before it became home to Winfrey's studio in 1988, the largest building on the Harpo campus was formerly a cold storage warehouse, a temporary morgue, an armory and a roller skating rink.